We couldn't help it. We had to put Angry Bird in our Catapult. Wouldn't you? What can you do with a little wood, glue, and a couple of rubber bands? Apparently you can make a machine that in the olden days had been used as a powerful weapon. Nowadays catapults are mainly used as toys. 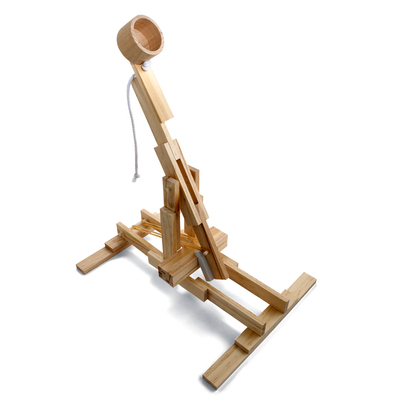 Moreover, thanks to games like Angry Birds and movies like Brave, I wouldn't be surprised if more and more medieval weapons (bow and arrow, trebuchet) were reincarnated as toys next year. With technology pushing us so far ahead, it's surprising how popular such toys are but then again, if you think about it, toys like catapults are not too different from classic winners like Trouble, Qwirkle, and Monopoly. That is, it is easy to pick up but it is hard to master. Mindware's Catapult comes with building instructions, glue, target, beanbags for throwing, and materials needed for building. Angry Bird and pigs and plastic faux wood pieces not included. 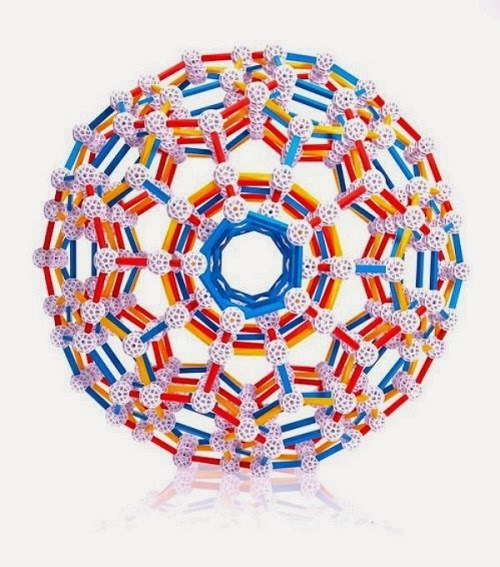 Are you excited for K'nex Angry Birds? I am. "I think it's a cool toy," said Alison Berkley, Alison Berkley, one of Toys are Tools' favorite expert educators and co-owner of Emerge and See Education Center. "I catapulted it once and I was like 'Oh My God!'" Alison said, who thought she could do an entire lesson on trajectory or flying in an arc. 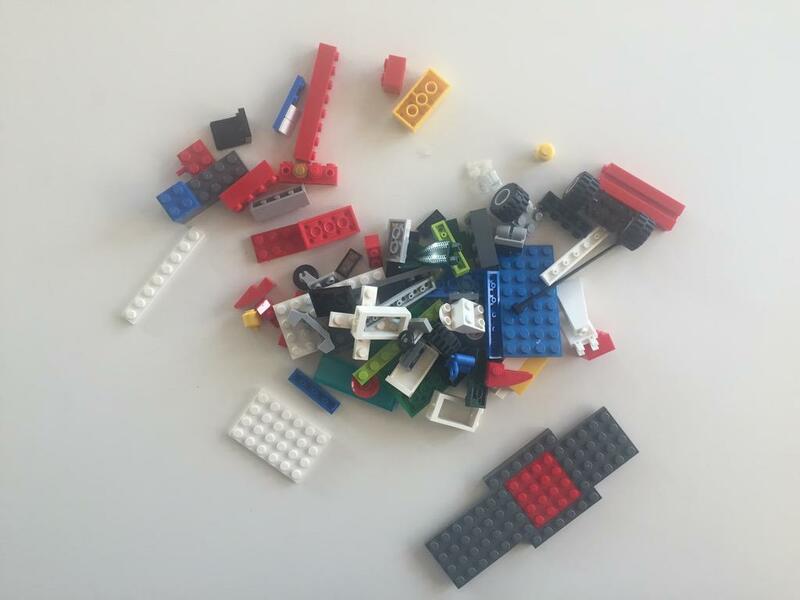 "We could do a whole lesson like that or you could just do different kind of experiments." (ie. 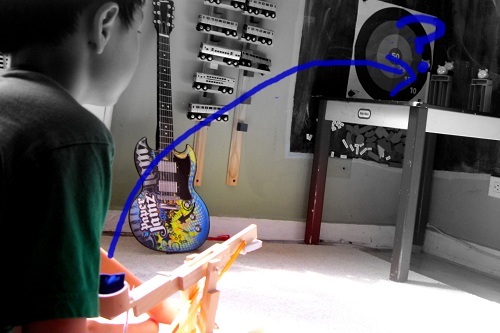 catapulting increasingly heavy objects to see how far it can go). "You can make it as complex and scientific as you wanted," Alison said. "You can make it easier for the younger kids - where it's more incidental learning. "Incidental learning is when you are learning by doing," said Alison "You learn a lot of things just by virtue of doing them." Just then Amanda Friedman, co-Director of Emerge and See joined in on our conversation with four fantastic words: "Real live Angry Birds!" 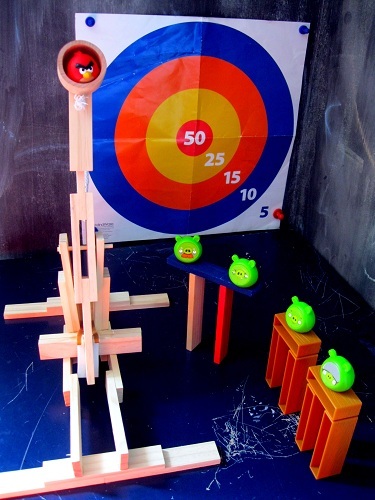 It's quite clear that you can learn a thing or two about physics from Angry Birds but if you have a real live catapult at home then you stand a chance to learn more and remember more because you are using more of your body to complete the actions. I don't know how important physics is to one's life but I suppose aside from school, physics is still very important since we live in a 3D world and we are all in motion during the many hours of our day. I think physics is driving on a highway, throwing a ball around, and figuring out a strategy on the football field. Everyone is estimating and calculating all the time. Perhaps physics is a life skill but I don't think we look at it like that. 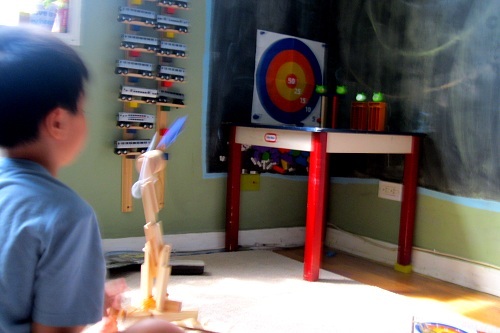 Learning physics via incidental learning must be ideal for lots of children. For one, it runs on the fuel of the child's curiosity. My son's favorite question is and always will be "What happens if I _____?" Even though that kind of question might lead to, "What happens if I put pudding in the catapult and launch it?" 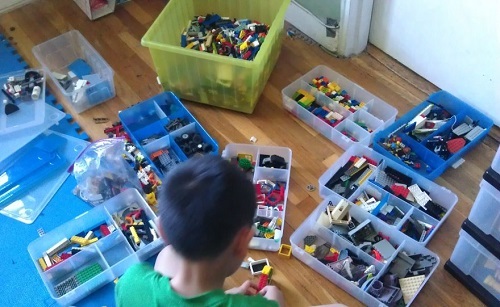 I do love my son's curiosity. If you have a curious child, I can't see how they would leave this toy alone. I would encourage as many variations as possible. 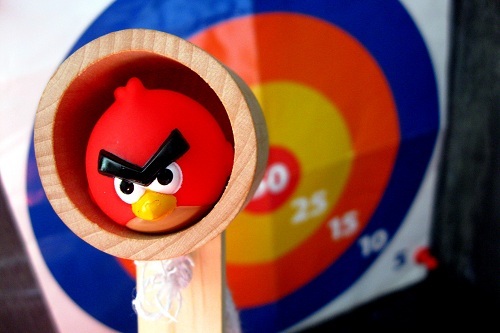 For us here at home, we like to knock down targets and have even simulated Angry Birds LIVE! Yippee! But you can knock down plastic cups stacked into a pyramid, the extra wooden planks that are a part of the Catapult set or anything else strikes your fancy. My help was needed here but it was towards the end. My suggestion is to check at each step before the glue dries. While they give you a few extra planks, there are some with predrilled holes and there aren't any extra of those. The glue is strong so if you make an error, you'll have to get creative to save your catapult. Last but definitely not least, building the catapult is an exercise in patience and precision. 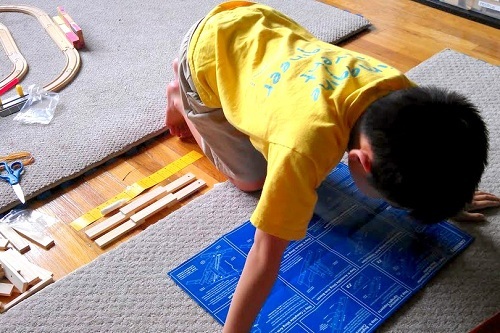 A paper ruler is provided in the kit to help kids measure and glue the planks onto precise points in accordance with the directions. Kids will not be able to build and play with it on the same day because they must wait for the glue to dry but when it does, they will have made a substantial investment with their own time and energy. No doubt curiosity and the hard work put in will lay the foundation for a scenario where a lot of incidental learning can take place. Like Alison said, we just learned by doing. We are not even aware of it because all we think about is our new live version of Angry Birds and how we don't need any points to know we've scored! Can't wait to see if you've won? Use our Amazon link! Disclosure: Toys are Tools has not been compensated in any fashion by the manufacturer of any of the mentioned products in exchange for the publication of this post. This product was submitted to Toys are Tools and expert for the purposes of facilitating this review. Reviews are never promised.